I have eight pi3s in a room which is 22-24°C. They range in temperature between ~45°C and ~50°C when idle, with each pi being fairly consistent in temperature +-2°C (sorry, not terribly accurate values, they are from squinting at a plot). Mine aren't in any kind of enclosure, but are mounted on the underside of a plate with reasonably free air flow. So your reading of 48°C is within what I see for the pi 3. Your case looks to allow for a heat sink on the processor, no idea if it would make a difference if the limiting factor is heat leaving the case? 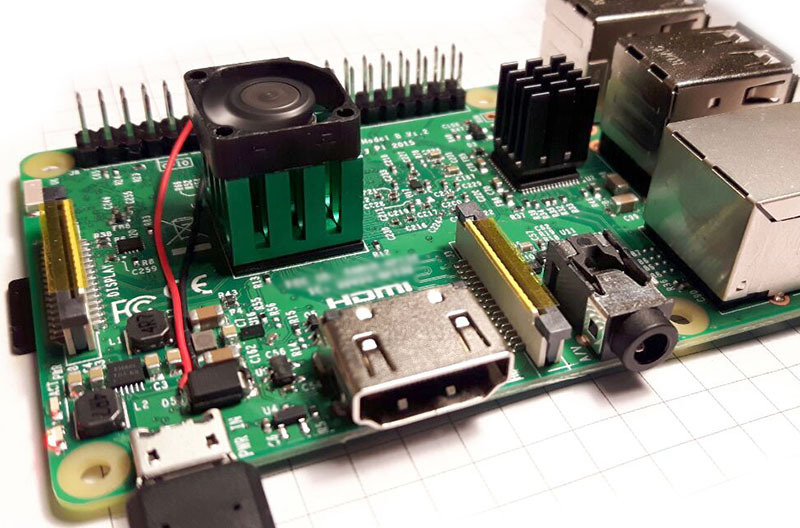 If I remove the fan and the heatsink, the normal temperature is between 45°C and 47°C, with the same clean Raspbian lite installation (default background processes) and a environment temperature of 25°C in a room with quiet air flow. Not the answer you're looking for? Browse other questions tagged pi-3 power temperature pi-b+ or ask your own question.